Customize your summer beverage with this Tea Tip. 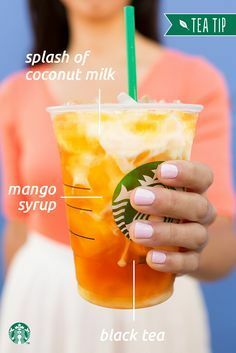 Ask your Starbucks barista to add a splash of creamy coconut milk and mango syrup to your Teavana Iced Mango Black Tea Lemonade and enjoy this refreshing tropical treat. Today I bring you another all around nerd like myself! Find out a little about the characters he pours himself into, his writing process, and some books he recommends. The most recent years have been hit the hardest by the Retail Apocalypse – the decline and closures of retail stores – and the future doesn’t seem very bright.